Good News: Hugh Laurie is set to play the villainous head of Omni Corps in the Robocop remake. Laurie will join the cast already comprising of Gary Oldman, Samuel L Jackson and Abbie Cornish. Bad News: Philip Seymour Hoffman has sold out to franchise fever and will be playing Plutarch, newly-appointed gamesmaker, in the Hunger Games sequel. Sequel News: the plot of the forthcoming Woman in Black sequel has been revealed. The story will be set during World War II when Eel Marsh House is turned into a military mental hospital. Let's hope it has a better ending than the original. 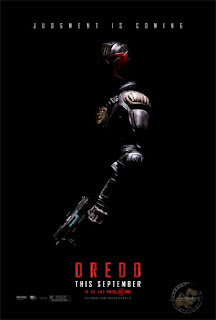 Poster News: the Judge Dredd remake poster has been revealed. Or rather not revealed as it gives very little away. At least Dredd will be keeping his helmet on after the outrage of die-hard fans following the first Dredd film. Trailer News: Tarantino is back with Django Unchained. The rambunctious trailer is below. Expect a western like no other. Good News: director brothers, Joe and Anthony Russo, are set to direct Captain America 2. This should give Cap a much needed personality boost. After all, their directing roots include indie flicks, such as the hilarious Welcome to Collinwood, and top-notch US comedies Arrested Development and Community. Bad News: Police Academy is being rebooted. Jeremy Garelick, writer of The Break-Up, has been assigned the task of tackling the script. Will it be a darker, grittier telling of Mahoney's origin story? Or will it be more Carry On humour with truncheons? I think we all know the answer. Mad News: MTV are developing a Scream TV series, despite the lukewarm box office of Scream 4. Let's hope they bag Kevin Williamson as head writer to ensure the trademark wit and pop culture references come thick and fast. 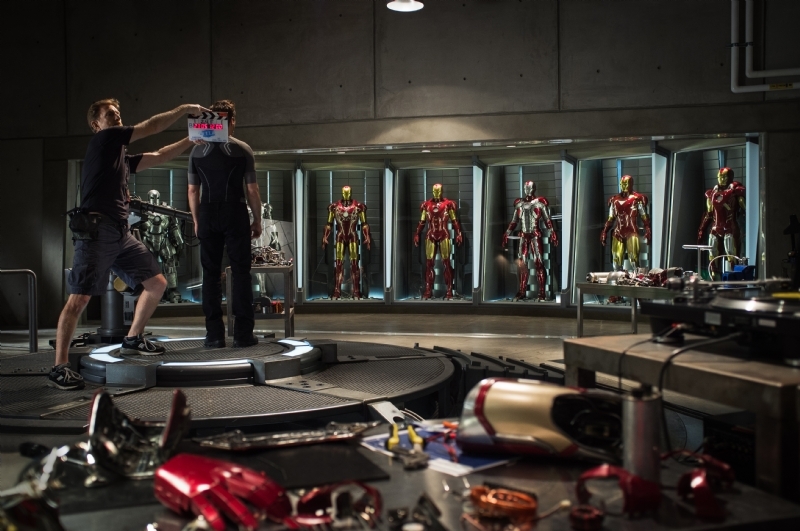 Stark News: here is the first picture from the Iron Man 3 set. 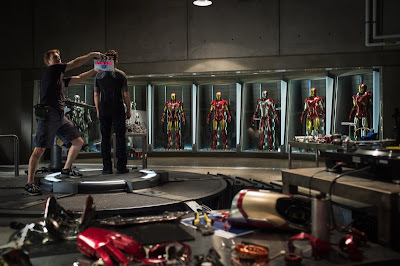 All seven Iron Man suits seen on-screen so far are lined up along the wall. Best. Wardrobe. Ever. Video Blog News: and here is the latest videoblog from the set of The Hobbit.